I was told that it is Platycephala sp. 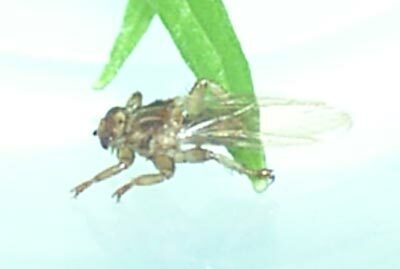 in Chloropidae. There appears to be only two species in HONSHU. P. sasae and P. subelongata. Do you know which one of these it is? I observed it on sasa bamboo, so it is likely to be sasae, though the other species might also be a bamboo eating species. It is quotation from Kanmiya(1983)A systematic study of the Japanese Chlorophdae. 1. Frontal triangle broad, ......; mesonotum yellow in ground color with 3 reddish yellow to brown stripes...subelongata, new sp. If Gensu is correct, probably I will think that your photograph is sasae.I have not seen P. subelongata. There are two species of Limna in Honsu. Do you know how to separate them? I think I have two Limna sp images, which look quite different. 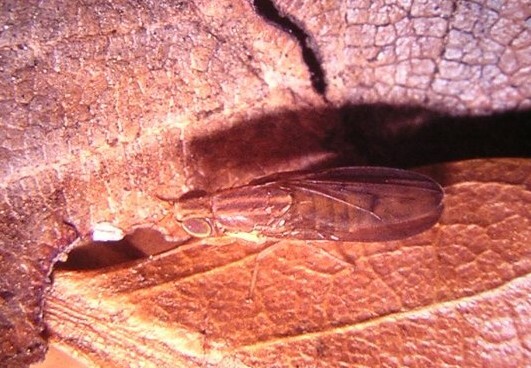 However, the second one might not be Limna sp. Perhaps,you can not see the color of the wings on my picture. But I can see the same(?) color as your picture, with my sampules. I think the species of my picture is very similar to your picture. But I do not know whether it is the same spicies or not. The Mokuroku database has only one species within gthe genus Trigonometopus on Honshu, T. frontalis. Do you know whether other species occcur too? 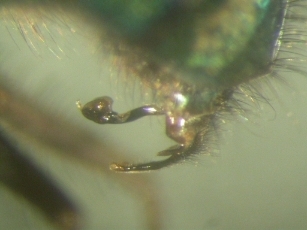 T. forficula is not in the database. Maybe they are synonims? 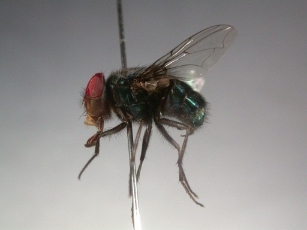 I'll name the fly as T. frontalis temporarily. 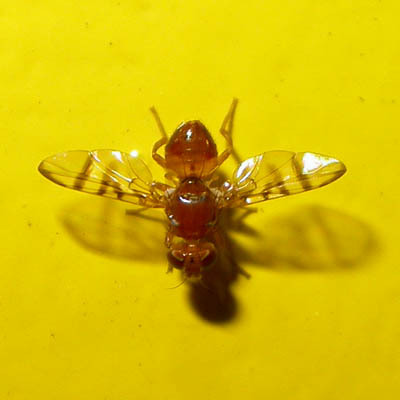 It is surprising that Limna sp (Sciomyzidae) and Trigonometopus sp (Lauxaniidae) are so similar to each other. 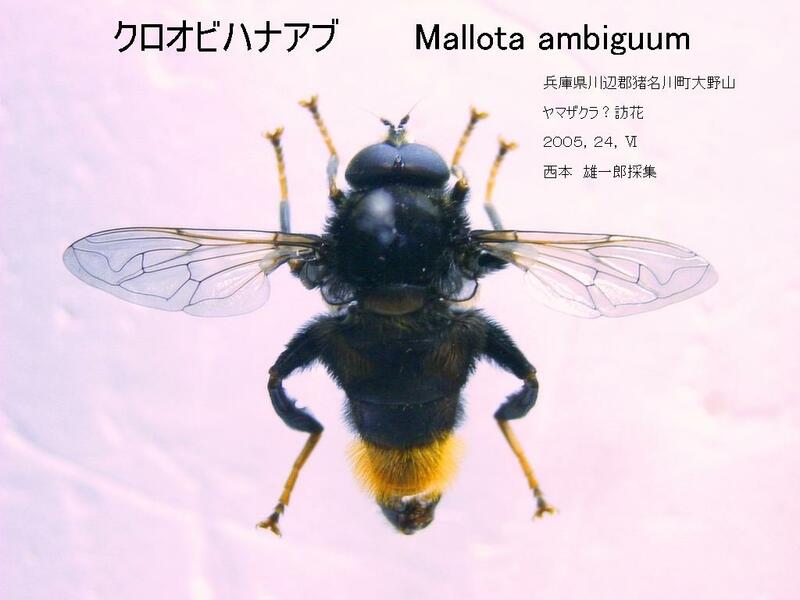 In the Japanese Insect database there are only three entries. And nigricans is not present. Is that a non-valid species name or a synonym? So I think No.1 is not nigricans.But I do not know the species. I think maybe 1 and 2 are the same species. I made the picture at the very same location, though Image 1 is from 2oo4 and Image 2 is from 2oo5. 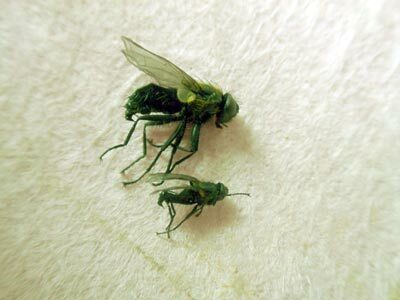 The two images are very similar, except the black markings on the wings are much stronger on the fly shown on Image 1. Maybe it is a gender difference, or individual variation.